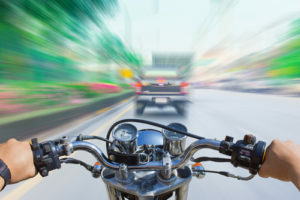 Motorcycle accidents are some of the most horrific on the roads of Pennsylvania, especially since there is no law requiring riders to wear a helmet in the Commonwealth area. The injuries one can suffer in a motorcycle accident can be traumatic and fatal. They can change your life in an instant, preventing you from going to school, from ever working again, and from being able to care for your family. The family and friends of someone injured or killed in a motorcycle accident suffer just as much anguish and pain as the victim. Today, we will take a look at motorcycle accidents and the serious injuries that can lead to paralysis. The most common area of the body that is often injured in a motorcycle accident is that of the spinal cord. Following a motorcycle accident it’s quite possible that you might not suffer any injuries except for those that occur to the spinal cord. You will notice possible spinal cord injuries based on the symptoms that present themselves after the crash. These injuries are typically associated with numbness in the back, arms, or legs; the inability to move your limbs; or the loss of feeling in the extremities. In order to confirm spinal cord injuries tests will need to be conducted at the hospital after an accident. A dye can be administered to the patient to help doctors notice damage to the spinal cord, tissues, and nerves that cannot be seen by the naked eye. Another test involves a sensor that looks for activity in the electrical system of the body, specifically the muscles, to see if they are still viable. If there is any impairment or paralysis at this juncture the test results will show it. The likelihood of suffering paralysis in a motorcycle accident is high because of the damage that can be done to the neck, head and back. The back is so tightly tied to the spinal cord that even minor damage to the back can lead to paralysis or other serious issues with your spine. Injuries to the head and neck, which are also connected to the spine, can cause paralysis after a motorcycle accident. You could suffer nerve damage, tissue damage, damage to the spinal column and more when injuries to the head and neck occur in an accident. Not all motorcycle accidents will lead to paralysis. Some can result in partial paralysis for the victim, who might only be able to use one half of their body or only one arm or leg, such as quadriplegia and paraplegia. Did you or a loved one sustain serious injuries due to a motorcycle accident in Pennsylvania? Don’t let the medical bills pile up while you wait for the negligent party or their insurance company to do the right thing. Right now, you need an aggressive personal injury attorney on your side, fighting to get you the compensation you need, want, and deserve. The skilled attorneys at Purchase, George & Murphey, P.C. represent clients injured because of motorcycle accidents in Erie, Fairview, Meadville and throughout Pennsylvania. Contact us by calling 814-833-7100 or email us to schedule a free consultation about your case. We have an office conveniently located at 2525 W 26th St. Erie, PA 16506 as well as offices in Meadville and North East, PA.